This original and iconic modern classic light from Danish designers Ebb & Flow is now presented in a beautiful 22cm wide x 52cm tall table lamp model matching the Lute ceiling pendants. It marries a bold, imposing design with beautifully fine mouth-blown glass for a truly contemporary feel and featuring 16 different combinations of glass colour and metallic covering such as Golden Smoke glass with Gold and Topaz Blue with Platinum. The shimmering metal base matches the internal pipe in either gold or silver. See also the stunning new fabric Lampshade designs some of which are shown here. 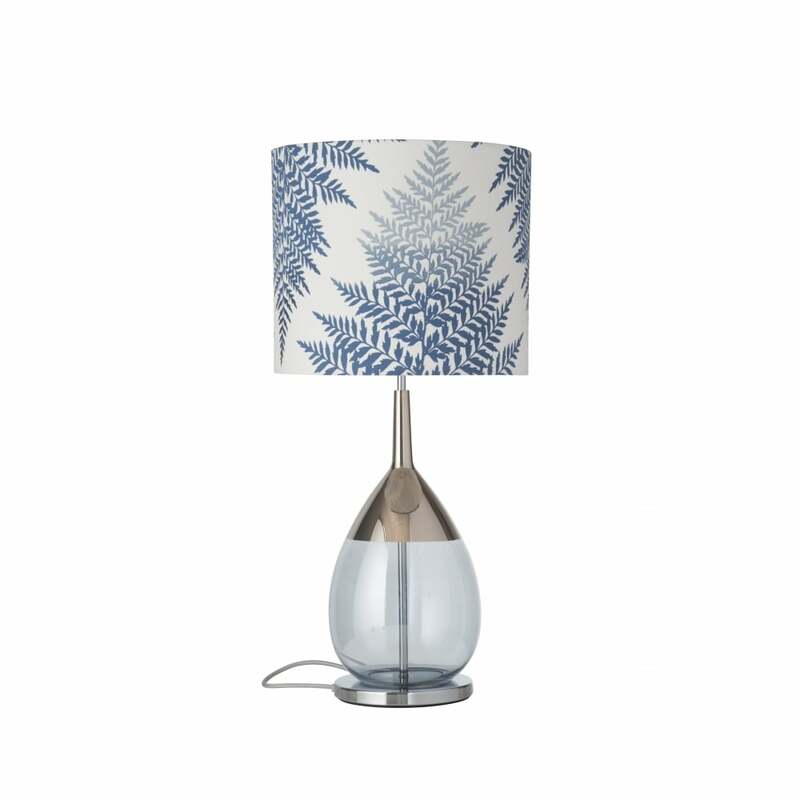 Lampshades are separately priced to the table lamps shown. View All Ebb & Flow lighting for more information on Lute or view the complete Lute Collection.